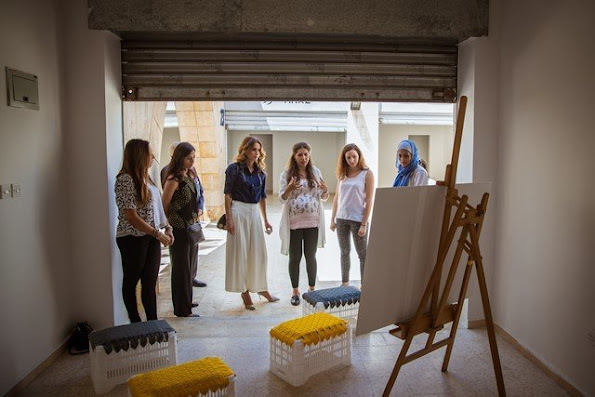 Queen Rania of Jordan visited the Crafts District at the Raghadan Tourist Terminal, one of three sites hosting Amman Design Week’s (ADW) exhibitions and activities, and met with several designers. Amman Design Week aims to revive the Raghadan Tourist Terminal as a social space for craft. Amman Design Week will host the work of more than one hundred local and regional designers and is expected to attract 10,000 visitors. 10 August 2016.